A gigantic 4m wide Pompompurin is set to land at Shibuya Stream from October 4 to 11 and at Nakano Central Park from October 13 to 14. There are cries for reforms on the way people work in Japan. Sanrio have heard those calls and have come up with a plan for those unable to get sufficient rest and sleep. 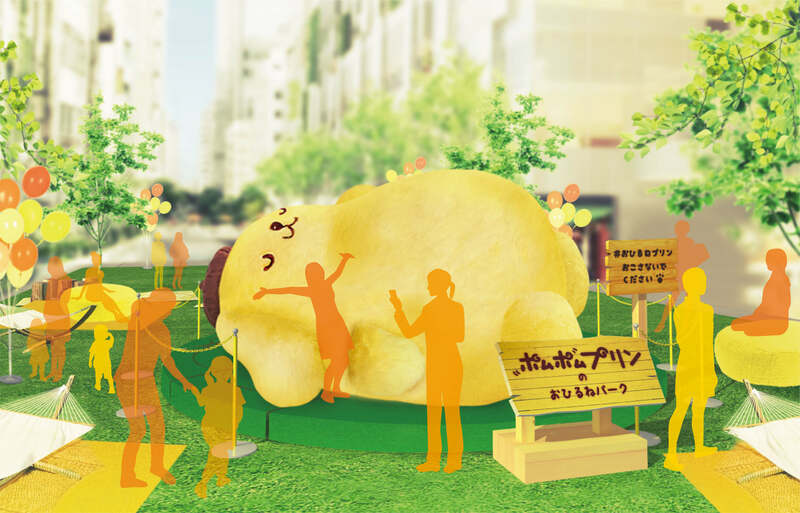 Sanrio’s character Pompompurin is an expert at afternoon naps, so they are inviting people to a new park they have produced where they can relax and enjoy a siesta. There’s a lot more to enjoy at Pompompurin’s park too. A crane camera is placed above Purin, who is sleeping soundly, so you can have your photo taken next to him. They will also be selling crepes themed on the Sanrio cast. Also, the first 500 people to post a photo of themselves at the event onto social media will receive some Pompompurin chocolate with an omikuji fortune slip. Not only that – My Melody, Hello Kitty and Kero Kero Keroppi will also come to lpay at the park from October 6 to 8. 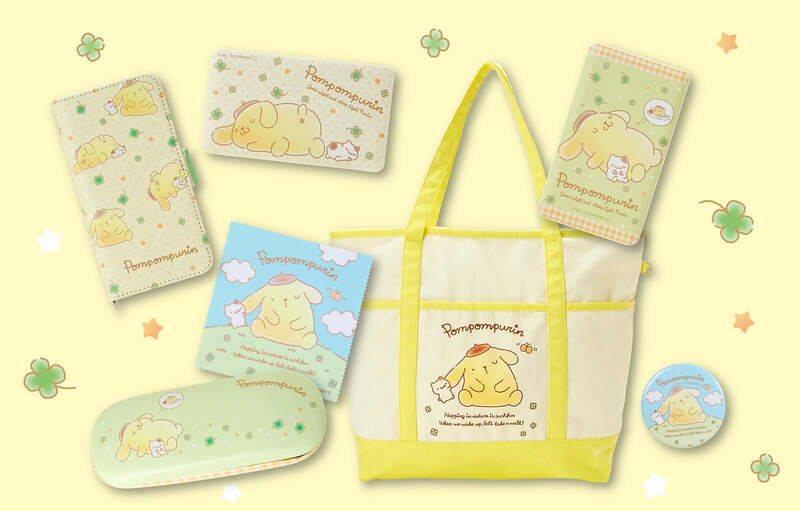 Those who attend will also have access to pre-sales of some new Pompompurin merchandise including products with afternoon nap designs and staying up late designs. If you spend over ¥1,500 including tax on these products you will receive a set of two postcards as a present. The merchandise shop will be at Shibuya Stream only from October 4 to 8. The afternoon nap design series of merchandise will also get pre-sales at 18 branches of KIDDY LAND. Those who purchase any Pompompurin products including this series and spend over ¥1,500 will receive a different set of two postcards from those at the park. These postcards will discontinue after the event has finished. KIDDY LAND Branches: Harajuku, Osaka Umeda, Kishijoji, Hello Kitty Shop Tokyo Station, Shin-Koshigaya, Musashimurayama, Hanyu (Saitama), Kohoku New Town, VenusFort, Futakotamagawa, LaLa Port Hiratsuka, Kuzuha, Shijonawate, Piole Himeiji, Takamatsu, Fukuoka PARCO, Kagoshima, Toyooka. The staying-up-late product series will go on general sale at most Sanrio shops across Japan from October 11. There will be 16 items to choose from. Designs include Purin wearing character costume PJs for the current season when nights are long, drinking hot cocoa with his friend Muffin, gazing up at the night sky in thought, and more. 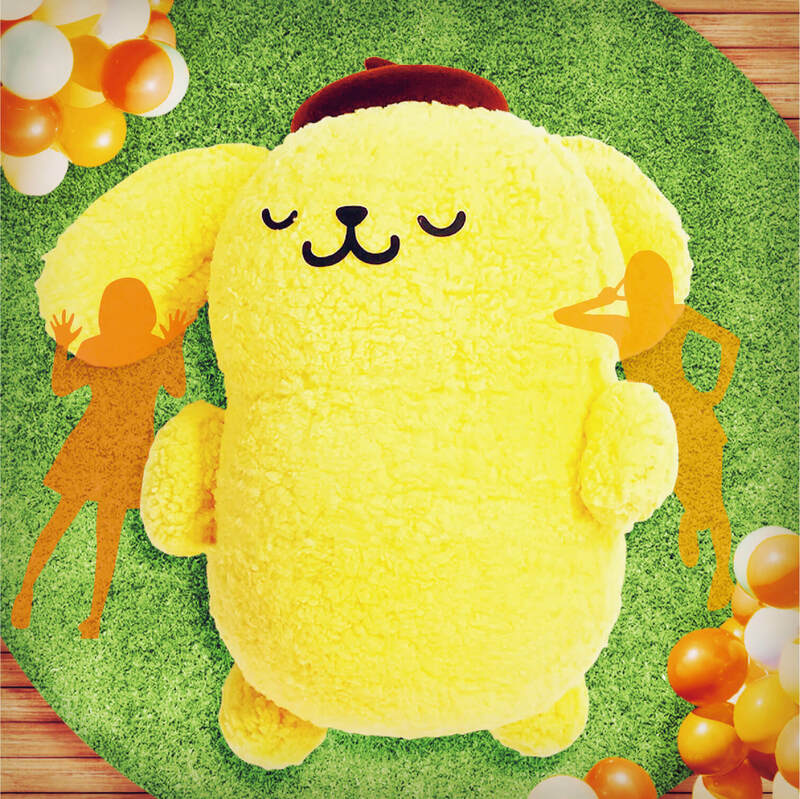 Enjoy the start of autumn while lazing around with the giant Pompompurin!